An elementary question for the series, for which we waited a long time before finding the answer...and we haven't even acquired it in absolute certitude yet! It's a very nebulous domain to which this page will take you, giving you a maximum of possible answers! "A super dangerous program, like a virus which can control electricity. And it activates towers on Lyoko to gain access to your world." - XANA was, for some fans, a computer virus which had infected the Supercomputer, making it go crazy. So the threat could have come from the outside! This theory couldn't be viable, because it would take a virus with unquestionable power to be able to infest a machine as complex as the Supercomputer and use it in such a way! Even supposing this could be possible, nothing could explain why the virus decided to use the machine to destroy the world, unless it understands exactly how the Supercomputer works! - Another hypothesis, and the ones we sometimes find in books about Code Lyoko, is that XANA could be the Supercopmuter itself! This theory confirms itself through some quotes from our heroes, like Odd's one in episode 26 “False Start”: "How'd you like to watch us deactivate XANA?" or Odd again in episode 22 “Routine”: "But why would XANA want to infect himself?" We don't however know the reasons for which this infernal machine would only focus on wanting to destroy the Earth, and above all, how it would have accessed such a conscience! "A multi-agent computer program I created. It has achieved self-awareness and autonomy, and it's trying to eliminate us now." This quote sweeps away the last theory that XANA is a program, but infected by a virus! XANA became autonomous by itself, without any outside intervention! So it's a multi-agent program! It's able to increase in power by itself and has become self-aware, making it a very dangerous program. To explain that, a little return to the source is in order! "The Keys to Lyoko...that's what XANA wants to steal from Aelita's memory!" "But what could XANA do with them?" "Escape from the Supercomputer...and take over the world..."
We now know that XANA is a program that acts on the heroes' Supercomputer, then on other machines of the same time. Now we have to wonder what links exist between them, and just how much control XANA holds over it. Like every program, XANA acts on a computer, but not just any old computer - we're talking about Franz Hopper's Supercomputer! XANA is therefore inevitably bound to Lyoko because one of the Supercomputer's main functions is to generate the virtual world! So we have to notice that if it doesn't generate a virtual world, a supercomputer is useless to XANA (we can still imagine it using Notepad to write its memories... But well...). It's for this reason that XANA will create a Replika in everything it infects: the virtual worlds not only create a bridge to the real world for XANA, they also give it power. You don't need to be a Code Lyoko specialist to have an idea of the possibilities available to XANA on a virtual world. The ones we have the most examples of is its ability to activate towers on the Sectors, and the one that allows it to create monsters, and more of them each time! It's better to concentrate on the limits of the influence XANA has on the virtual world and the Supercomputer in general! As has been said, XANA made prisoner the real master of the virtual world: Franz Hopper. And we so observe that the abilities offered to XANA aren't as vast as Hopper's! The most flagrant example is that Jeremy often talks about a secure-access part of the Supercomputer in which he stores his most important data, like Aelita says in episode 51 “Revelation”: the vehicles, their powers, and Aelita's materialisation program! It's even where Jeremy creates a copy of all the data in Franz Hopper's diary, putting it out of XANA's reach, or just about (episode 31 “Mister Pück”)! The Return to the Past program is also inaccessible to XANA, even if bypassing restricted areas is still possible (episodes 22 “Routine” and 30 “A Great Day”). What's more, even if XANA knows how to activate towers, Aelita can take away its hold on them with the Code Lyoko! As for Franz, even better, he can take control back without having to be there physically; he makes a fabulous demonstration of such in episode 51 “Revelation”. Fortunately for the heroes, some areas of the Supercomputer are secured! Because on Lyoko, we have to wonder where XANA isn't! Though Jeremy is incapable of virtualising the Lyoko Warriors right in front of a tower, XANA virtualises its monsters wherever it wants, whenever it wants! Sometimes it modifies the Surface Sectors however it pleases, like in episode 43 “XANA's Kiss”, in which is erases a bridge between two platforms in the Desert to isolate Aelita! In Carthage, it seems to have control of all parameters (see the XANA on Lyoko part)! As Aelita so nicely puts it, for XANA, Sector 5: “...is where XANA lives!” To illustrate XANA's importance on Lyoko, when it escapes the Supercomputer, the whole virtual world dies...until Franz Hopper revives it! Finally, the Code XANA even has the power to destroy Surface Sectors! When XANA activates towers, it can use the Supercomputer's power to influence electrical and computer networks all around the world! As the Supercomputer gains power after each Return to the Past, XANA takes advantage of this! Considering the 2500 returns launched by Franz Hopper and the good hundred or so triggered by Jeremy, we understand that XANA benefits from considerable extra power. Don't be confused, the Returns to the Past don't reinforce XANA itself, but the Supercomputer XANA uses! In conclusion, XANA is, along with Hopper and Aelita, one of the three big entities who control Lyoko! Beside the Supercomputer, its range of action is more limited, overshadowed by Jeremy! Nevertheless XANA always has some advantages over its opponsents, especially since the day it evicted Hopper (without being able to prevent his return in episode 50 “Contact”, however). The virus will always find a way to access data it needs, as the creation of the Scyphozoa illustrates! As XANA is confined within Franz Hopper's Supercomputer until its escape in episode 52 “The Key”, switching it off deactivates XANA, the same way cutting your personal computer's power will immediately stop all activity on MSN and disconnect you immediately. Although we learn in episode 73 “Replika” that XANA didn't escape “into the Network”. It rather moved through the Network to get to new Supercomputers it had infected. The program has therefore seen an evolution of status on two scales. The link it had with Lyoko is reduced because XANA deserted the Supercomputer, only keeping a partial connection with it. This loss of power will be confirmed again when XANA destroys Lyoko in episode 65 “Final Round” and Jeremy recreates it in episode 66 “William Returns”. The best example with which to illustrate this decline in XANA's power on Lyoko is Sector 5. During season 3, so in the first phase of the declin, XANA is still somewhat present, but its traps are less common and the defence is quite bad. When we see the armies that XANA can mobilise in season 2, we can suppose that it would have destroyed the Core with little difficulty. From the moment Jeremy recreates Lyoko, Sector 5, the source of the virtual world, no longer belongs to XANA. Jeremy becomes its effective master, which is indisputable seeing the actions he executes (like rerouting energy in episode 67 “Double Take”). Nevertheless XANA extended itself throughout the Network and infected different Supercomputers. These machines are less powerful than Hopper's, and we can consider that XANA takes complete control of them. To exploit them, it uses their energy to conceive virtual worlds and place towers in them. The link XANA maintains with the infected supercomputers around the world is therefore similar to the one it maintains with Hopper's Supercomputer from episode 52 onwards. Cutting one of them off and destroying it simply deprives XANA of their energy, instead of trapping it inside. In the end, XANA abandoned Lyoko and the Supercomputer in the factory, on which it exercised partial control, to flee to new supercomputers and create massive amounts of Replikas. XANA has also gained power: indeed, even though it deserted the most powerful of all the supercomputers (let's not forget that Hopper's machine is the only one capable of generating a virtual world made up of multiple Sectors and not just one), it infected so many less powerful others that it largely gained enough power to more than make up the difference. What's more, as the AI created them, the Replikas are entirely dominated by XANA. 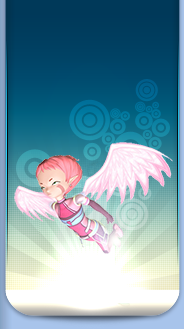 The only counterpower that can act there is Aelita, who can use the Code Lyoko to deactivate towers. The only way the heroes have to get rid of a Replika is to destroy the machine that generates it. About that, the heroes can be happy that XANA used most of the energy from its Replikas to create its robot army, because an attack launched from a Replika tower would have been particularly hard to counter, as the heroes realise in episode 83 “Hard Luck”. Shutting down Hopper's Supercomputer appeared to be an efficient way to force XANA into hibernation and end the fight, assuring its definitive sleep (if the machine was never turned on again). Destroying it could have been a way to make the virus disappear. Destroy all the supercomputers infected by the program, or deactivate them. The second method presented the risk of someone putting them back in action, so the heroes opted for destroying the supercomputers one by one before realising that the task was too tedious (I'll point you to the file on episode 92 “Cold Sweat” in the Episode Guide). The method revealing to be impossible to execute from start all the way to finish, Jeremy opted for another way to end the enemy program: create another multi-agent program with similar properties to XANA's, in particular the ability to spread throughout the Network. This way, with the help of Franz Hopper, Jeremy and Aelita were able to execute this program, which, once launched, infiltrated every place XANA was hiding and made it disappear (episode 94 “Fight to the Finish”). To survive, XANA could take refuge in a single supercomputer and cut off its access to the Internet and the Network. This way, Jeremy's multi-agent program shouldn't reach it. That said, XANA could be back to a situation that's even worse than what it started with: a prisoner of and dependent on a single machine, a machine with no access to the Network or to a virtual world to prepare attacks with. Concerning the strict context of the series, XANA's time is well and truly over. "A multi-agent computer program I created... It has achieved self-awareness and autonomy, and it's trying to eliminate us now!" So, Franz Hopper is the creator of the multi-agent program that is XANA! The AI came to life not long after Lyoko, created by Franz Hopper to destroy the military program the professor had unknowingly helped to build! It's without a doubt to this effect that Franz gave XANA to activate towers, etc. This remains a supposition, because we can then raise the next question: did Hopper expect XANA to hold so much power over the virtual world? It's difficult to imagine XANA as a submissive and wise program, but this is nevertheless what it should have been in the beginning! But one of the features of multi-agent programs is the one that allows them to gain power and intelligence on their own! In XANA's case, the program is without contest the most powerful in the world, because it became smart enough to achieve consciousness! As already said above, XANA doesn't reinforce itself with the Return to the Past. It reinforces itself in a way similar to Jeremy's Marabounta, while the Returns to the Past reinforce the Supercomputer it's using! Although the Returns to the Past do have some effect on XANA, it comes from the fact that it increases its database and permits it to not make the same mistake twice! It was certainly the 2546 Returns to the Past launched by Hopper that made XANA's access to consciousness much easier! Jeremy offers us a particular example of a multi-agent program in episode 36 “Marabounta”. The Marabounta is a program created by Jeremy. In a single episode, we saw it gain enough intelligence to free itself from its creator and refuse to be deactivated! In short, it became independent... Just like XANA did long before! In a stroke of bad luck, it happened at the time Hopper had to run away to Lyoko with Aelita! Prisoner of his own creation, he powerlessly saw XANA turn against him, trying to get rid of the Hopper family! When Jeremy turned on the Supercomputer, XANA continued on its inevitable elevation in the intelligence scale! From season 1, we see XANA make more and more complex attacks! We just have to compare the first few attacks when XANA tried to violently destroy everything, to the final ones when XANA pushed the level of treachery to weaken the powerful friendship of the group, play with their feelings to divide them, making them more vulnerable; using them! In my eyes, its attacks are one of the most brilliant and mean parts of the program! I can't prevent myself from quoting episode 43 “XANA's Kiss”, in which XANA plays on human jealousy to tear the group apart from the inside, as well as episode 49 “Franz Hopper” when Jeremy is kicked out of the group by a false Franz Hopper. Far more subtle than taking over bulldozers to wreck everything, or creating violent, 3-metre tall robots (episodes 6 “Cruel Dilemma” and 20 “The Robots”). XANA's objectives and their evolution throughout the seasons are a perfect example of the rapid rise in the program's intelligence! In season 1, its goal is limited to killing the group and bothering humanity. In season 2, it aims to get itself into a safe place far away from the Supercomputer by stealing Aelita's memory. In season 3, it wants to get rid of Lyoko to become untouchable. In season 4, all of XANA's objectives are reshaped. The heroes have rebuilt Lyoko, so it occasionally tries to destroy it again (episode 74 “I'd Rather Not Talk About It”). The heroes want to destroy XANA, so it protects itself by defending its Replikas and Supercomputers. And as it always does, XANA targets human life on Earth by formulating a plot to take power and enslave all of humanity. "Look in his eyes, Odd. Can you see the sign of XANA?" We don't know the origin of the name “XANA”! This was certainly the name given to it by its creator, Hopper, but who knows what inspired such a name? Its exact spelling poses a problem. Xana is one of the possible spellings, in which case, it would simply be a proper name! Most of the time, we find it written in capital letters, like this: XANA. This would lead us to believe that the word is really an acronym! Somewhat more rarely it's spelt like an acronym, giving us this: X.A.N.A. We never find the answer in the series because the multi-agent system's name is never written anywhere, except when Aelitae enters the code XANA in the interface of the Way Towers! 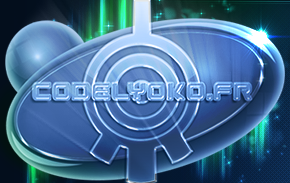 Nevertheless, even if the code is typed in capitals and the colour red, the Code Lyoko is also typed in capital letters. So it's impossible to pick! For those who think that XANA is an acronym, many hypotheses have been formulated to penetrate the mystery of our favourite villain's name! We can find some (ridiculous) meanings: “Xenophobic Attack Neutralization Algorithm”, for example. Or if you're a programming fan, “Xtensive Applications Native Approach”! One fanfic writer theorised that XANA could have been a NATO initiative, the acronym standing for “NATO Executive Order X – ANAA (Artificial NATO AntiSoviet Agent)”. Although in all probability, if XANA were really an acronym, it would probably stand for something French! In the wings of the series, we learn that XANA is actually a derivative of “Xanadu”! What's Xanadu? Simply the name Lyoko had in the original “Garage Kids” project! XANA's first characteristic symbol is the colour red. Often associated with violence, on the virtual world, XANA's activity is shown by various red things. The most known of them all is the halo of towers, always red when XANA takes control. When the heroes embark on the Skidbladnir, in episode 71 “Maiden Voyage”, they learn that when XANA is at work on the Global Network, the water that represents the energetic flux and data goes from a peaceful deep blue to a bright red. It's also the colour Ulrich's sabre takes on when in the hands of a XANA Warrior (episodes 70 “Skidbladnir” or 90 “Wrong Exposure”). And of course, XANA's monsters are represented by red icons on Jeremy's screen. However, its not its name or its colour that symbolises XANA the most; the program has an emblem: the eye of XANA! This eye is composed of a circle in the centre surrounded by two concentric circles. Four “tongues” occupy the outline of the outermost circle: one longer one up the top, and three shorter ones down the bottom, two poking out to either side. The middle one is a little wider! Again there are always numerous hypotheses. We can suppose that the dot (the retina of the eye, if you will) represents Carthage and the four tongues would be the Surface Sectors. The two circles could symbolise the two outer rings of the virtual world. On the other hand, we notice that the four tongues are not in the shape of a cross, unlike the arrangement of Sectors. And if the circles are the rings, why are they not surrounding the whole symbol? It's possible that XANA could be represented by an eye due to all the symbolism attached to it. The image of the eye that controls, sees and knows everything! We can find multiple examples of this omniscient eye in various media: the eye of “Big Brother” in George Orwell's novel, 1984, where Big Brother represents the only political group that watches everything; or the eye of Sauron in J.R.R. Tolkien's Lord of the Rings, for fans of heroic fantasy! Indeed, when we look at the episodes of Code Lyoko as a whole, XANA always knows everything: the heroes' exact position, the position of objects it wants to possess, who knows about the existence of the Supercomputer and who doesn't; it even knows where to find a military truck carrying a nuclear battery, to quote a more specific example (episode 37 “Common Interest”). The eye's allegory is directly linked to the program's omniscience. With omniscience comes omnipresence! Indeed, as soon as XANA is involved in anything, the eye is never far behind. XANA is more often represented by its eye than its name in black and white. “XANA” tags aren't on the agenda yet! XANA however becomes better and better at hiding the unpredictable appearances of its eye. In episode 66 “William Returns”, when it sends William to Earth, the teenager acts totally normally without revealing the sign until he achieves his goal and kidnaps Aelita. On Lyoko, this symbol is even more present! We know it especially as the monsters' weak point! They all have an eye of XANA, or many for Bloks, which is their weak point: whether it be on their back or their head, if a hero manages to strike it, the monster's destruction is assured (except for maybe the Scyphozoa, which has never been hit in its eye). However, even without taking the monsters into account, the eye is a “decorative” symbol that we find everywhere in Lyoko, especially in Sector 5! We see it on the Transporter, on both sides of the Elevator, on the floor of the Arena. The two keys in Carthage are also eye-shaped. To activate it, the eye's retina must be pressed, cancelling the countdown or revealing the stairs to the Core Chamber! On the Surface Sectors, it is present on the floor of every tower! The importance of this symbol is such that even the Supercomputer is covered in it (the eye may be more the machine's symbol rather than XANA's). Finally, XANA's emblem is drawn on the chest of William's virtual envelope, after he destroyed the Core. This leads us to believe that William will become a very important pawn in XANA's service and not merely a simple person who has been xanafied by the Scyphozoa. It's rather nice seeing XANA sign its misdeeds with an eye, however it doesn't stop us from wondering about XANA's appearance! One recurring question is the following: Are we going to see XANA someday? Knowing whether we're dealing with XANA or not is tricky. During banal attacks, the program is just generating spectres to put objects under its control. When it takes control of a human, the question extends! The xanafied person also seems to be under XANA's control, without being XANA itself. In episode 33 “Final Mix”, as Jim settles at the Supercomputer terminal he says, “At your orders, XANA”, which he wouldn't have said if he were XANA itself. In truth, XANA only appears three times before our stunned eyes! We see XANA again in episode 52 “The Key” at the time of its escape from the Supercomputer! It materialises as a giant spectre, swirling around the factory. Nevertheless, here the tornado makes more of a symbolic image of XANA's escape, because the Lyoko Warriors' enemy doesn't go into the sky, but into the Network through electric cables. Finally, a materialisation of XANA's character takes place in the penultimate episode, number 94 “Fight to the Finish”. The spectre in this episode, having possessed William, disappears at the same time as Jeremy's multi-agent program is exterminating all traces of its master in the Global Network. So it struggles out of William's body and takes on a humanoid appearance for the first time (a body with a head but no face and XANA's eye on its chest), then the smoke takes the appearance of a face twisted in agony before vanishing forever, testifying that XANA or any other of its spectral extensions would never be seen again. XANA's reflection and feelings...utter madness or superior intelligence? "Of course it would. XANA can make mistakes too! He only has theoretical knowledge of the real world. (...) XANA's knowledge of people is only approximative!" XANA is enigmatic by nature, as it is the only computer program with access to a consciousness, so it's a tough job deciphering its reasoning! XANA is a program that was created by Hopper in order to destroy the military project “Carthage”. For this, it's possible that XANA was given a goal to exterminate all those who participated in it, which would therefore explain its rebellion against its own creator, Hopper. This done, to kill all those directly or indirectly affected with the project, XANA found it faster to simply end all humanity. XANA, besides its goal to destroy Carthage, is also a defender of the Virtual World. Considering humans a threat to it, its own conduct has driven it to kill humanity in order to protect Lyoko. With its increase in intelligence, it would be selfless in its mission of protection. When it gained consciousness, XANA was afraid of being deactivated someday. To defend itself, it attacked before being attacked. After Hopper was removed, it wanted to go after everyone who knew about the Supercomputer, because after all, that was the objective of its first attack! Later, it decided to hide on the Network and protect itself by destroying Lyoko. You can always take the theory of a possible “madness” that affected XANA, giving it murderous desires. A madness that could have been caused by a virus. By gaining consciousness, XANA succumbed to a primary desire: to be free, to govern others, to be the strongest! It first turned against its master Hopper, then tried to harm humanity. As the series progresses, this hypothesis can be confirmed with various details. We particularly note that XANA's aspirations concerning humanity go through some changes. At the beginning of the struggle against the heroes, XANA mainly wants to exterminate humanity... Blow up a power plant, what could be better than that? (Episode 2 “Seeing is Believing”). The episodes have given us various evidence of XANA being capable of having feelings. When it comes to emotions, there's less proof. The program seems to experience more negative feelings than position (of course it depends on the point of view of good/evil that we have...). Despite its partial understanding of feelings, XANA seems to have enough trouble displaying them, and the people under its control seem only to show emptiness. Note that XANA has no qualms about sacrificing its monsters. We also note the lack of emotion in the lines of XANA-Jeremy in episode 31 “Mister Pück” as he prepares to electrocute Odd! And so we are not in any way obliged to present XANA as a notoriously huge sadist. While the puppet's virus are austere, reserved, although they seem to be constantly irritated, growling and appearing hateful, they do not seem to take pleasure in hurting the heroes. They act, and their action stops there. Clones and xanafied people will rather find satisfaction when their mission is completed! For example, we see Nicolas laughing mightily in episode 35 “The Chips Are Down”, or Jeremy's clone wearing a broad smile in episode 64 “Double Trouble”. XANA is capable of quite human reactions, because we see the false Hopper mock Jeremy in episode 49, sardonically telling him to admit defeat. Even in episode 43 “XANA's Kiss”, XANA cunningly uses jealousy to break the group apart. On Lyoko, the monsters reflect some of the feelings experienced by XANA, such as hatred, but also disappointment (the Tarantula from episode 51 “Revelation” is shown disappointedly leaving the tower XANA had taken control of). The innovative feature that allows us to see a little more of XANA's alleged behaviour in flesh and bone is William. Completely succumbing to XANA's control, his face becomes a reflection of the feelings that the program experiences. This ranges from complete hatred when it fails to kill Hopper in episode 82 “Distant Memory” to the satisfaction of tricking Yumi in episode 76 “The Lake”. I'll note that XANA also knows to enjoy comical situations and mark an ironic point: in episode 86 “Canine Conundrum”, when Aelita, aiming for the XANA Warrior, commits the blunder of hitting Odd and devirtualising him with an energy field, William doesn't miss the chance to congratulate her with a little “Good shot, Aelita!”. XANA has difficulty understanding positive values. Episode 24 “Ghost Channel” is the best example of this because in it, XANA itself thinks it's making a perfect demonstration of the impossibility of Jeremy's presence in the virtual world, as he is too frightened to enter the scanners. When the heroes reply that he would do it out of friendship, XANA has trouble coping with this concept, repeatedly shouting that it's not logical! Jeremy sums it up in one sentence: XANA's knowledge of humans is only approximative and theoretical, and therefore incomplete. Yet, as its consciousness grows, XANA opens up to more ideas. Although it's almost unrealistic to think that it will ever be at peace with the heroes, we realise that the virus does adhere to certain values, and we find proof of this in episode 36 “Marabounta”! The heroes and XANA unite to save Aelita and remove Jeremy's Marabounta, which was invading Lyoko. After a fierce battle, they all come out alive, and as the heroes prepare for XANA's monsters to turn on them, they instead bow in gratitude and leave peacefully! Gratitude? Obligation of recognition? Ephemeral thanks? XANA knows how to thank people who help it! Moreover, it eventually also understands the principle of love and friendship, like in episode 41 “Ultimatum” when it sends Jeremy an SMS threatening to execute Odd and Yumi. On one hand, it recognises that in friendship, Jeremy would have to make a choice, on the other hand, it doesn't kill Odd and Yumi immediately, even lending them something to help them warm up, proving that if Aelita was delivered on time, XANA would have let its two prisoners live, and so it would have kept its word: a new positive value learned by the program! Ironically, a lot of emotions are unknown to the program, such as remorse. In addition, when XANA performs psychologically good deeds, it's to use them inappropriately. Isn't manipulation merely misusing human feelings? We must recognise, however, the exponential advances it makes in this field. Although XANA doesn't send any more polymorphic clones after the reconstruction of Lyoko in episode 66, it sends William to Earth and makes him behave normally for a whole day in order to deceive Jeremy's vigilance and kidnap Aelita (just one time won't hurt...). And on this point, it's indisputable that the program's puppet acts just like the real William. XANA has finally managed to perfectly duplicate human behaviour. Perhaps it used information contained in William's virtual memory?